1) Testing conducted by Apple in February 2019 using preproduction AirPods (2nd generation), charging case and Wireless Charging Case units and software, paired with iPhone Xs Max units and prerelease software. The playlist consisted of 358 unique audio tracks purchased from the iTunes Store (256-Kbps AAC encoding). Volume was set to 50 per cent. Testing consisted of full AirPods battery discharge while playing audio until the first AirPod stopped playback. Battery life depends on device settings, environment, usage and many other factors. 2) Testing conducted by Apple in February 2019 using preproduction AirPods (2nd generation), charging case and Wireless Charging Case units and software, paired with iPhone Xs Max units and prerelease software. Volume was set to 50 per cent. Testing consisted of full AirPods battery discharge with a mobile phone call until the first AirPod stopped playing call audio. Battery life depends on device settings, environment, usage and many other factors. 3) Testing conducted by Apple in February 2019 using preproduction AirPods (2nd generation), charging case and Wireless Charging Case units and software, paired with iPhone Xs Max units and prerelease software. The playlist consisted of 358 unique audio tracks purchased from the iTunes Store (256-Kbps AAC encoding). Volume was set to 50 per cent. Testing consisted of full AirPods battery discharge while playing audio until the first AirPod stopped playback. 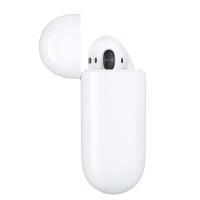 The drained AirPods were charged to 100 per cent, then audio playback was resumed until the first AirPod stopped playback. This cycle was repeated until both AirPods and the charging case were fully discharged. Battery life depends on device settings, environment, usage and many other factors. 4) Testing conducted by Apple in February 2019 using preproduction AirPods (2nd generation), charging case and Wireless Charging Case units and software, paired with iPhone Xs Max units and prerelease software. The playlist consisted of 358 unique audio tracks purchased from the iTunes Store (256-Kbps AAC encoding). Volume was set to 50 per cent. 15-minute charge testing conducted with drained AirPods that were charged for 15 minutes, then audio was played until the first AirPod stopped playback. Battery life depends on device settings, environment, usage and many other factors. 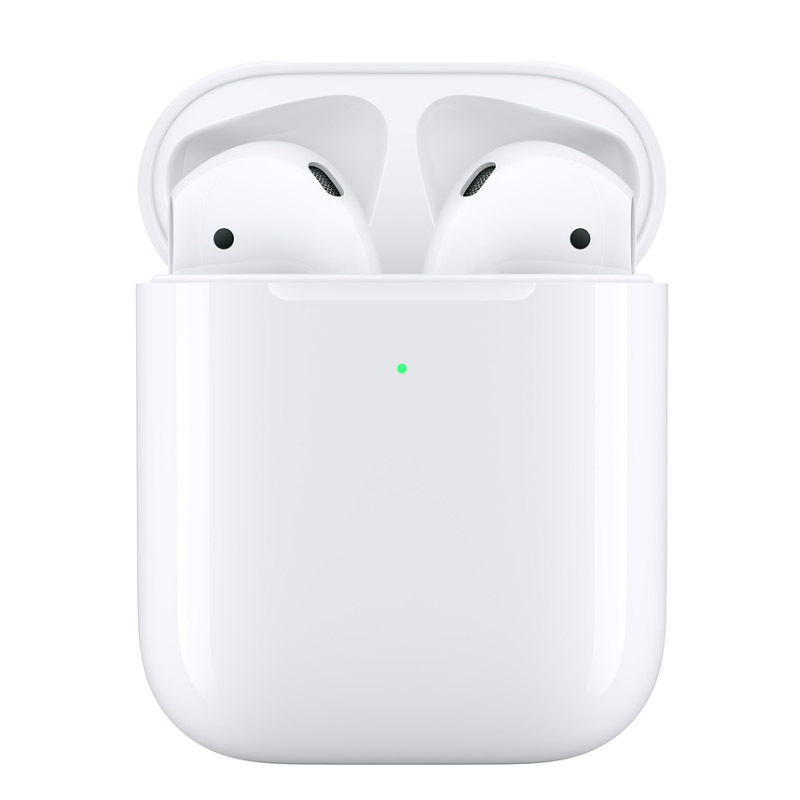 5) Testing conducted by Apple in February 2019 using preproduction AirPods (2nd generation), charging case and Wireless Charging Case units and software, paired with iPhone Xs Max units and prerelease software. Volume was set to 50 per cent. 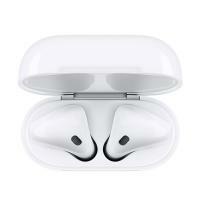 15-minute charge testing conducted with drained AirPods that were charged for 15 minutes, then a mobile phone call was conducted until the first AirPod stopped playing call audio. Battery life depends on device settings, environment, usage and many other factors. 6) Requires an iCloud account, and macOS 10.14.4, iOS 12.2 or watchOS 5.2. 7) Requires the latest version of iOS. 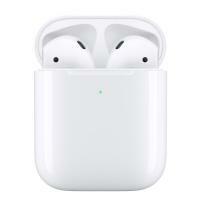 8) Testing conducted by Apple in February 2019 using preproduction AirPods (2nd generation), charging case and Wireless Charging Case units and software, paired with iPhone Xs Max units and prerelease software. Volume was set to 50 per cent. Testing consisted of full AirPods battery discharge with a mobile phone call until the first AirPod stopped playing call audio. 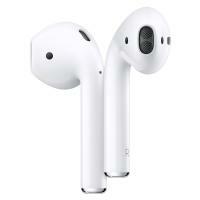 The drained AirPods were charged to 100 per cent, then the mobile phone call was restarted and continued until the first AirPod stopped playing call audio. This cycle was repeated until both AirPods and the charging case were fully discharged. Battery life depends on device settings, environment, usage and many other factors.